Mahindra & Mahindra Ltd., a part of the US $ 19 billion Mahindra Group, today launched the All New Tougher Next Generation Mahindra Pik Up under its fully-owned subsidiary – Mahindra Automotive Australia Pty Ltd (MAAPL). 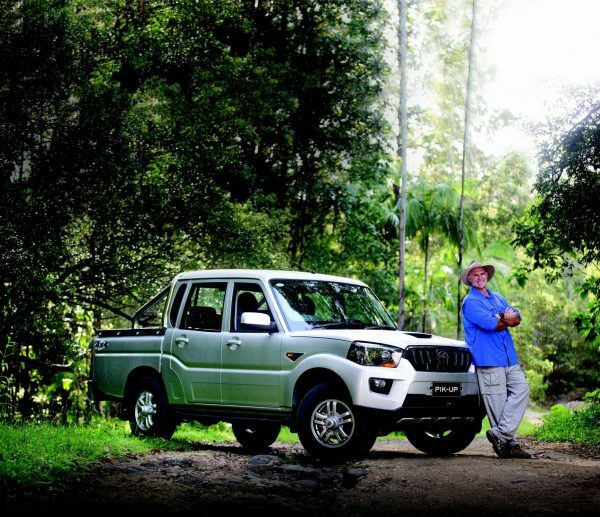 Mahindra’s next Generation PikUp, with its refreshed outer body styling, new six speed transmission, increased turbo diesel power, and stylish new interior is a tough no nonsense ute that is as rugged as ever. The original Mahindra PikUp, launched in Australia in 2007 has been plying the roads and back country of Australia for ten years. With thousands of Mahindra PikUps sold to Australian customers over the past 10 years, the PikUp has built a trusted and solid reputation as a reliable, rugged and value for money ute for the Australian market. Over 500,000 PikUps & Scorpio SUVs have been sold globally since the launch of the original Scorpio in 2002. The All New Mahindra PikUp boasts significant enhancements in its drivetrain to 103 KW of power / 330 Nm Torque, all-new 6 speed gearbox, totally new attractive interiors that will appeal to a much wider customer profile with the inclusion of ISOFIX child restraints with top tether standard on all Dual Cab models, and help Mahindra to strengthen its position in the local pikup/ute segment. Mahindra products offer, proven reliability, function and premium value for money. The upgrade, with its aggressively-styled exteriors and plush interiors includes a complete overhaul of the Mahindra PikUp’s aesthetics, with specific emphasis on the front-end styling. The vehicle comes in two specification levels, S6, which provides function & value and the S10, which offers an SUV-like-specification yet remains within the identity of the Mahindra PikUp’s rugged and reliable legacy. The Mahindra PikUp’s clean, contemporary lines improve the look of the vehicle while maintaining a tough signature stance. The most compelling changes are to the front of the vehicle where the grille, headlights, bonnet and foglamps have all undergone a substantial redesign. The new grille design is smarter, utilising a glossy black finish with subtle chrome accents (S10 Models), as well as a more prominent Mahindra badge, while the lower air intake has been reshaped to provide a stronger visual integration with the grille. Black mesh inserts are consistently applied to both the main grille and the lower air intake, creating a more consistent appearance. The headlights on either side of the grille are also completely new, with a cleaner, more resolute appearance and a new curved LED Daytime Running Light signature for the S10 Double Cab. Bolder fog lamps are mounted in restyled apertures that are linked to the lower edge of the headlights. The redesigned front-end styling is accompanied by static bending projection lamps. The spacious cabin of the Next Generation PikUp has undergone important upgrades as part of the model line-up. Perhaps the most obvious improvements are to the upholstery and the six-inch (6”), full colour touch screen display on the S10 Double Cab models located in the centre console. 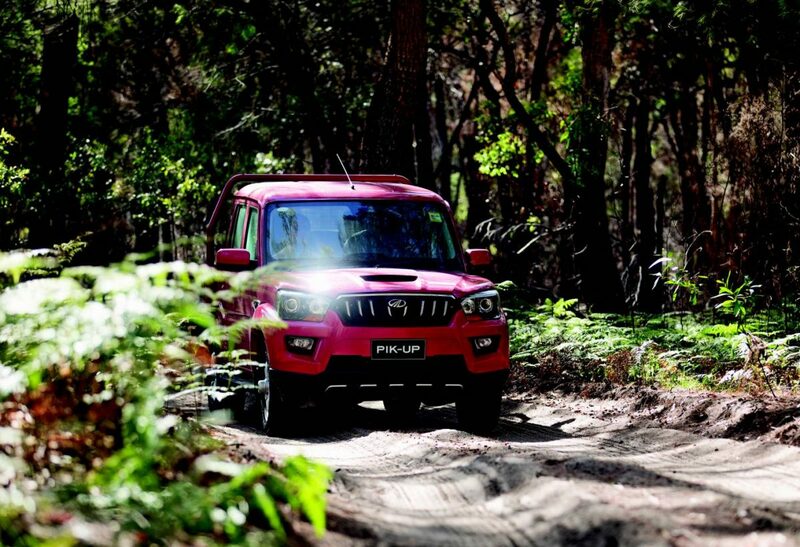 The Mahindra PikUp’s cabin is also comprehensively equipped. 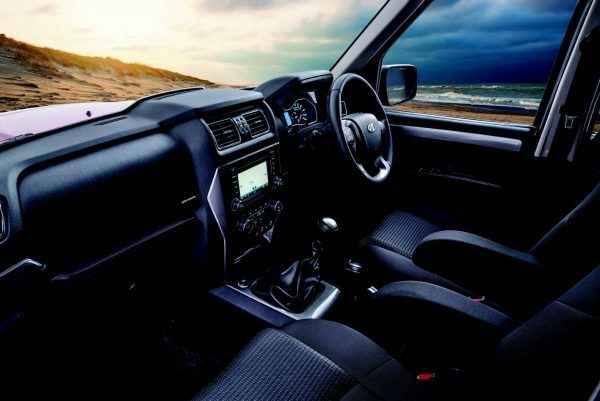 As the flagship model of the range, the S10 Double Cab benefits from useful features such as remote central locking, cruise control, satellite navigation, reversing camera and a multifunction steering wheel. The upgrade doesn’t end here. With smart features like auto wipers and intelligent headlamps the vehicle promises to take the customer experience to the next level of comfort and performance. Fully Automatic Climate Control further enhances the comfort of occupants in the S10 variants. Safety features like Hill Descent Control, ESC, ABS, EBD, Roll-over mitigation, Airbags, Crash protection crumple zones and a Collapsible steering column are standard across the range. 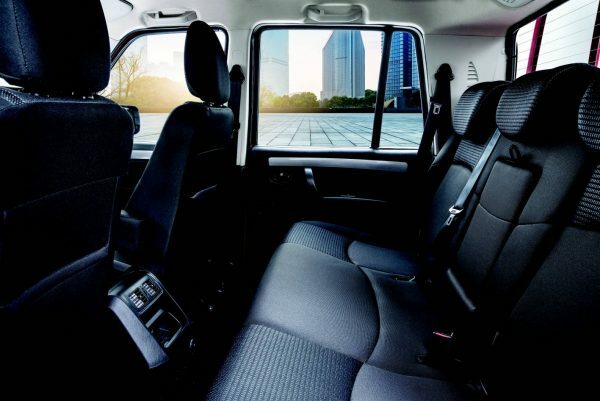 Strengthening our commitment to safety and comfort, we have added head rests and 3-point lap sash seat belts for all seats along with two ISOFIX anchors in the rear seat with three top tether points for all Double Cab models. The Next Generation PikUp has an updated 2.2- litre four-cylinder mHawk turbodiesel engine which makes use of a variable geometry turbocharger to produce 103kw. The impressive torque peak of 330 Nm is reached at just 1,600rpm, and sustained to 2,800 rpm, ensuring excellent in-gear acceleration and great towing power. The Dual Cab PikUp is available in 4×4 S6 with factory well-side tub from $29,990 Drive Away. The pricing includes a 5 Year / 100 000 km Limited Warranty with 5-year roadside assistance.